I was exhausted. The acquisition of a bankrupt company had taken it’s toll on me. I had been charged with leading the integration of a company that had gone into receivership and the days after the purchase were long and full of demanding problems. The regular structure of a management team and normal operating procedure had been replaced with questions and confusion. The court appointed monitor wouldn’t give us a list of the former employees so even figuring out who did what was challenging. 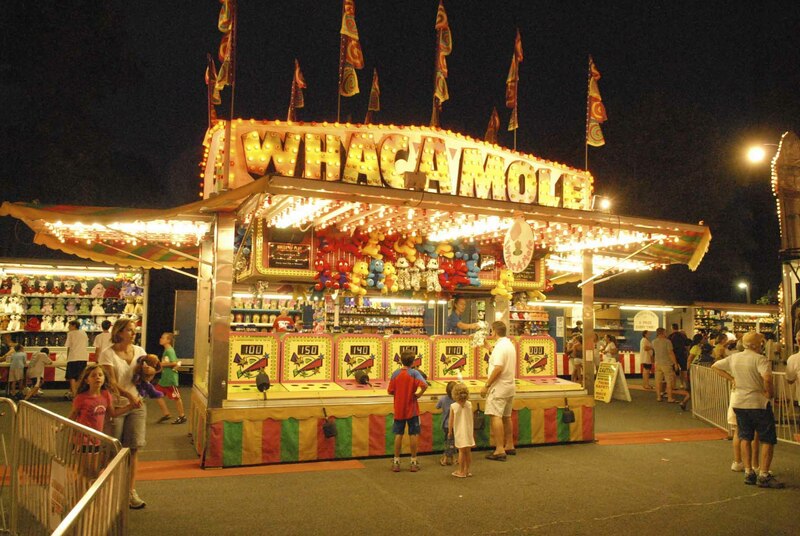 I remember thinking that I had been inducted into a real life carnival game of whac-a-mole. No matter how hard I tried issues kept popping up threatening to derail the whole acquisition. And, if I didn’t get things pointed in the right direction quickly it would not be good for anyone. After days of futility trying to answer every question and be in front of every problem I recall thinking that my approach was not working and worse I didn’t have the energy to keep it up for long. My saving grace was developing a system of systematic neglect. That is, really figuring out what was important, what was urgent but ultimately not important and being clear about what was easy to do but not important long term. Fundamentally the question is this? What is it that I and only I can do? That is the starting point of clarity. I decided that I had to be the Chief Trust Building Officer. Without trust there was no acquisition. The people of the bankrupt company were watching what I said, but more critically they were watching what I did. My walk was how our company would be branded – not my talk. Gaps between my walk and my talk would create confusion for how successful behaviours looked in the new company culture. The team around me had some amazing players and some people struggling with why they were there. The art of neglect is aided by a clear view of what balls you have to catch and what balls will be watched by other players on the team. If the whole acquisition had a chance of success it was going to be because the employees of the defunct company believed that there were better days ahead and that we, the new company could be trusted to deliver on our promises. Being clear about what I had to do and the capacity of the team around me had an immense effect. I remember sitting in my office late one evening with a list of items that just kept growing and the urge to knock some things off the list. Building trust was my key task and that kept me focused. I had to keep a balance between getting things done and getting out of my office to talk to people because trust is personal. There was a huge nervousness about our plan. People who had worked for the company for many years had been sent to the unemployment lines with nothing. We had to create a real sense that we were honest in our intentions. That was paramount in keeping employees focused on pleasing skittish customers. Keeping our sales people and everyone involved in operating the business was critical to making the acquisition work. Obviously I should have spent most of my time on customer retention. But, thankfully, an amazing sales leader stepped up (without being asked or tasked) and jumped into the fire setting the tone and building a plan for success. This allowed me to systematically neglect most of these delicate issues. And, the time that this allowed me brought me back to stuff that only I could do. I neglected some of the systems integration issues preferring to trust that the team assigned would do the right things. I felt guilty about my neglect at times but the time this allowed meant that I could spend precious time on the overall communication of progress during our daily (then every few days, then weekly) communication updates with the whole of the acquired company. Saying what we were going to do, doing it and then telling people what had been done was a pathway to building trust and I was the ultimate owner of that process. I learned that developing the art of neglect is one of the passages of leadership. Deciding what you are going to focus on (and what you will not focus on) is one of the empowering choices leaders have. Neglect opens you to criticism and doubt but it is the exercise of choice that differentiates how effective we are at leadership. Neglect is not permission to withdraw completely. The art is in being active, on the right topics, trusting the team and paying attention to the needs of the moment. When I think back to the wild and woolly days of that acquisition I am thankful for the learning opportunity that it provided me. And, now I consciously seek challenges that take me outside of my comfort zone. There are not enough hours in the day to do it all – figuring out what to do and what you will systematically neglect is vital. Oh, and the acquisition changed the reputation of our company in Canada with many of the key people trusting us enough to stick with us through those crazy days.